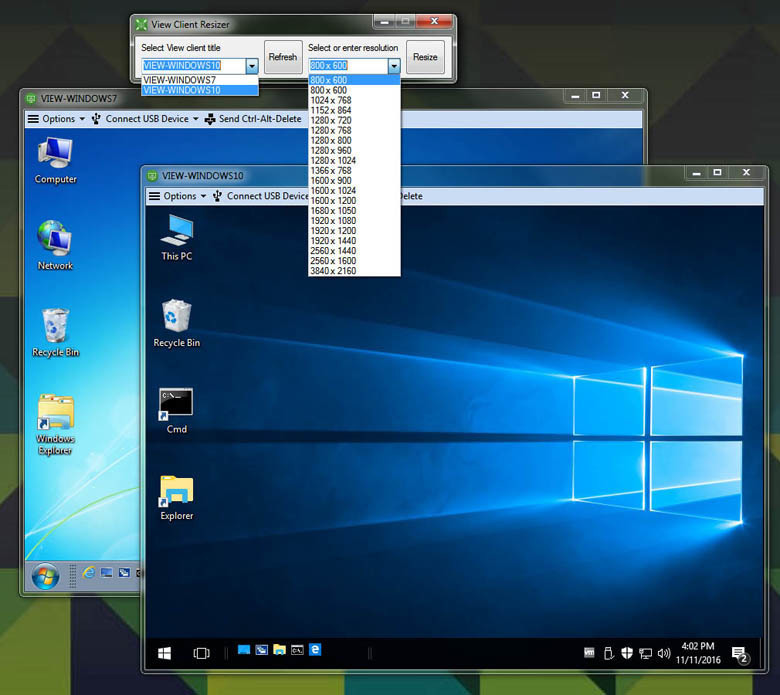 The View Client Resizer is a utility that resizes VMware Horizon Client for Windows desktop to a specific resolution. Copy the View Client Resizer executable to any location on the client system and open it. Select the View Client session from the View Client Title pull-down menu. This will be populated when you start the application, or establish the session and click the Refresh button. Enter a resolution size using an 'x' to separate the X and Y values, or select from the pre-defined list in the Resolution pull-down menu. Click on the Resize button to resize the View Client desktop.